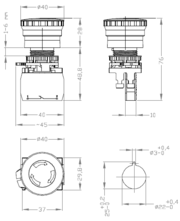 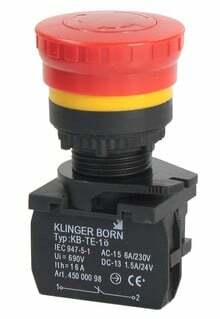 Emergency stop switch element (mushroom push-button) with a N/C contact for front-panel installation. 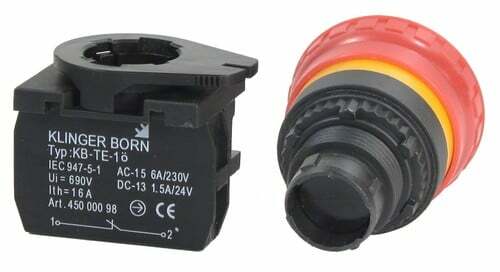 the push button latches in during operation and is unlocked by rotating the knob clockwise. 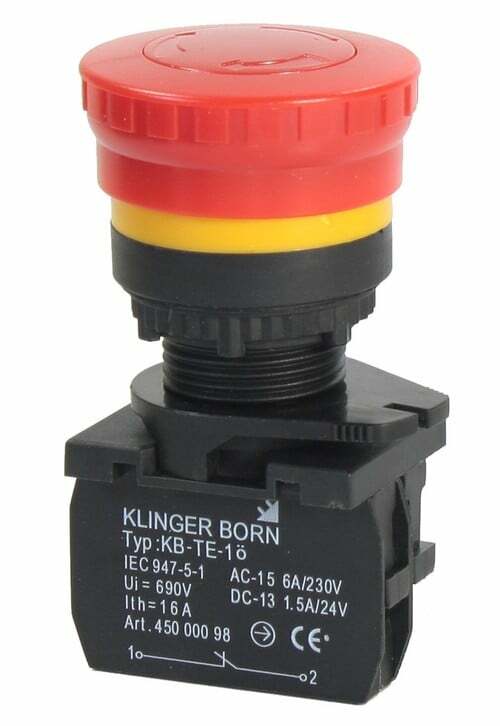 The switching function can be expanded by an additional pluggable switch element (refer to accessories) to 2 N/C contacts or 1 N/O contacts/1 N/C contacts.